A SPECIAL category has been introduced to this year’s Rossendale Business Awards to reward people or associations that make Rossendale great. The Pride of our Valley award is being sponsored by Hazelwood Homecare of Rawtenstall, who have twice won the Employer of the Year title. 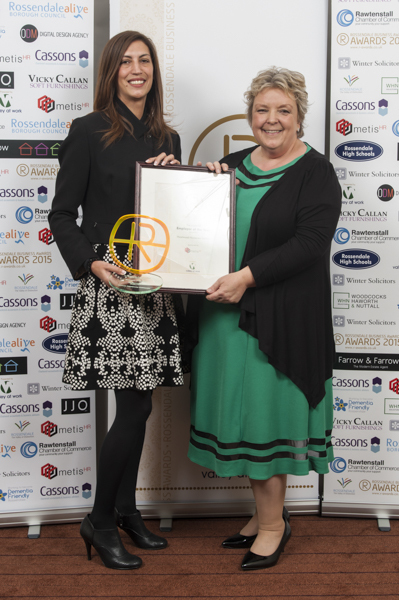 Valley at Work, which connects local businesses, has organised the awards for the past seven years. Nominations can be made for the awards from August 17 until September 23. Last year an astounding 152 individual businesses were nominated, some several times, nearly double the figure for 2014. The awards’ ceremony will be held at The Riverside, Whitworth, on November 9 when 17 different trophies will be awarded.